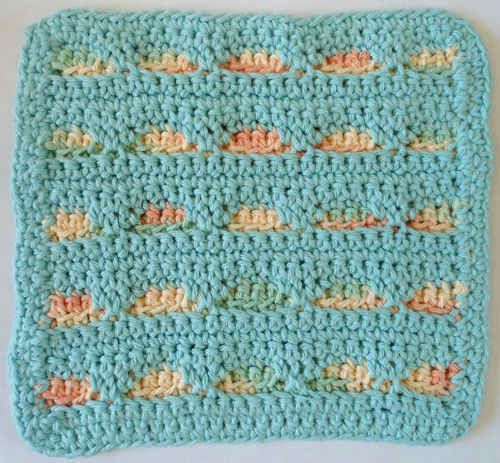 Enjoy the Layered Crochet Dishcloth and other patterns in the Seaside Dishcloth Set. 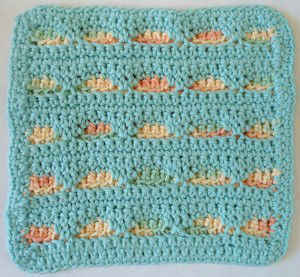 I love this dishcloth patterns! I just might make an afghan out of them!!! 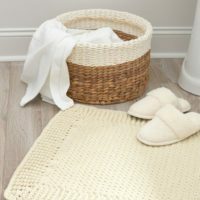 This would make a great washcloth for the bathroom by making it a bit larger in three different sizes for a decorative set. There is also a tolit seat cover in one of my old books with a tank cover that would make any bathroom look fresh. 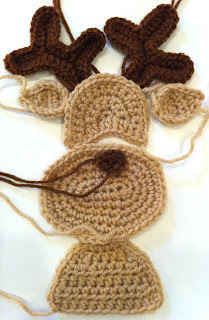 I seem to be having trouble with this pattern. Maybe I am missing something? I love it, and am hoping someone can help me — I want to make it! Rows 5-7 are supposed to be in mulicolor? If I follow this, how does the blue make a full pattern on the front? It seems to be left out while the multicolor continues several rows.